If presentation of a project is nicely done; it adds a multiple spice to it. As commercial designers we make various designs in a day as a result we overlook its very presentation which is as vital as the design layout itself. To make your posters look excitingly elaborated, its presentation needs to be highlighted in the same way. 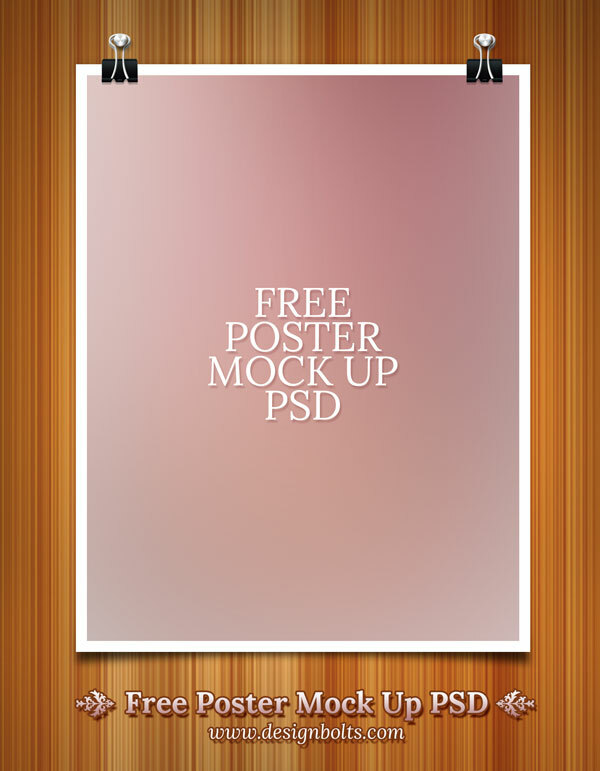 Today I am giving away a free poster mock up PSD template. Now your designs will be acknowledged by your clients the minute you show them. Subscribe us for more free PSD and free Vectors.